Luapula Province Minister Brigadier-General Benson Kapaya has praised the UCZ for undertaking social work in rural communities of Zambia. 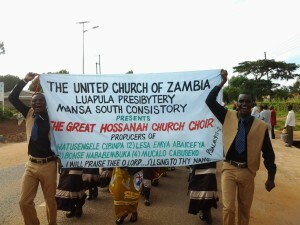 Gen. Kapaya was speaking when he flagged off the launch the UCZ Luapula Presbytery Golden Jubilee celebrations in Mansa. The UCZ will celebrate its Golden Jubilee or 50 years, in January 2015. It was formed on January 16, 1965. The Provincial Minister said the efforts of the UCZ were helping to supplement Government efforts in offering social services to Zambians through schools and medical institutions. Gen. Kapaya was standing in for Guest of Honour, First Lady Dr Christine Kaseba Sata, who was out of the country. The Presbytery Bishop, Rev Samuel Mwambazi, recalled some of the achievements of the UCZ in the past 50 years and urged the Church to overcome its shortcomings. And in his sermon, Rev. Simon Muwowo, preached on the theme: ‘The voice of the people is the voice of God’, and challenged the Government to honour its promise by giving the people the constitution that they need. He also challenged the Church to look after the poor, and to ensure that its schools and hospitals take care of needy children and not just those of the rich whom, he said, could afford hospital fees. 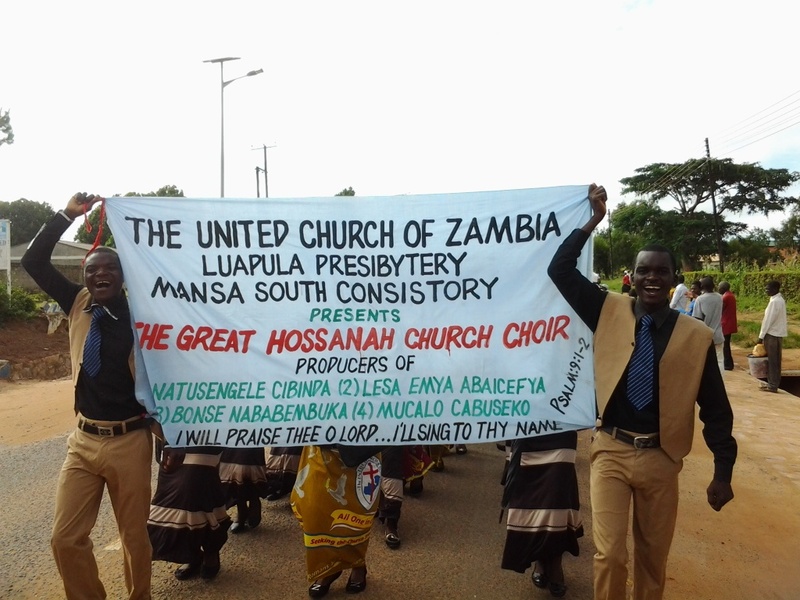 The celebrations were attended by almost all consistories in Luapula Presbytery. However, a team of UCZ members who were travelling from Mbereshi consistory were involved in a road accident at Murundu on their way to the Jubilee Launch. There was no loss of life but some members were injured and they were rushed to Mambilima Mission Hospital before being evacuated to Mbereshi Mission Hospital the following day. The dress code and parade were impressive as those who bought the Golden Jubilee chitenge material were smartly dressed in the attire. Other Church members turned up in MCF, WCF, Girls Brigade and Boys Brigade uniforms. The worship service for the Jubilee Launch was well-organised and most of the people who attended commended the UCZ leadership for a job well done. Nearly 3,000 people attended the Jubilee Launch.